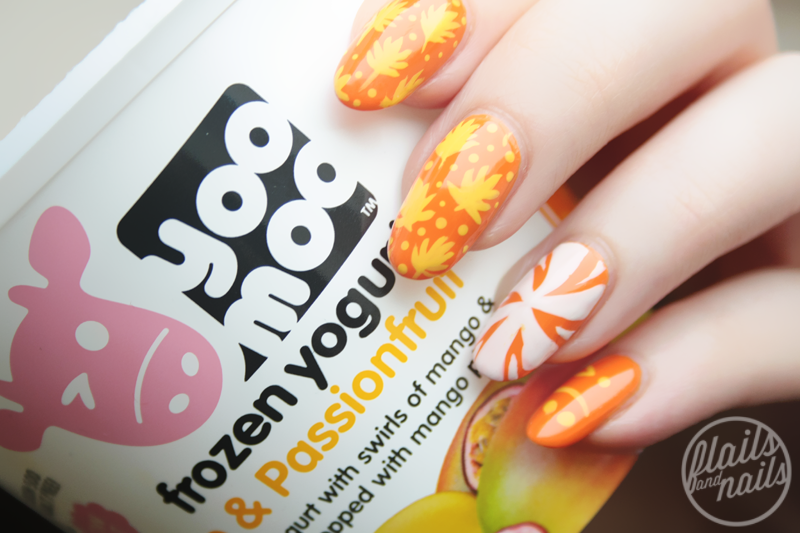 My inspiration comes from the Tropicoolmoo, which is plain frozen yoghurt with mango and passionfruit pureé and mango pieces. I am OBSESSED with anything passionfruit so this flavour is right up my street. CND are one of those brands that I've always wanted to try but just never got around to...until now! I've been lucky enough to get three colours from new Modern Folklore collection to try out and create some nail art for you guys. 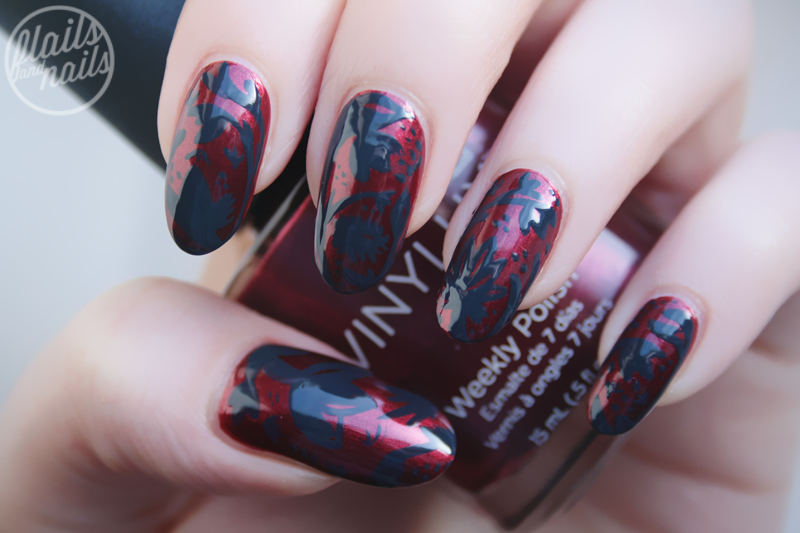 The Modern Folklore collection incorporates what you would expect in an Autumn/Winter collection, the darker reds, purples, greys, oranges but they're metallic so it adds a little bit more luxury to the overall effect of the polish, perfect for making a bit more of an impact with a standard colour choice. The collection itself is inspired by Fabergé eggs and embellished handmade craftmanship so they've hit the nail on the head (pardon the pun on that) with their colour selection. I'm extremely pale with pink undertones to my skin tone, this means I can't wear mustard or I'll look like a corpse, much to my chagrin as yellow was my favourite colour growing up (I was always the Yellow Power Ranger, never pink) so when I saw that Barry M were releasing a mustard shade as part of their Gelly range, I got very excited because this is the only way I'll ever be able to wear mustard, especially in cable knit form. 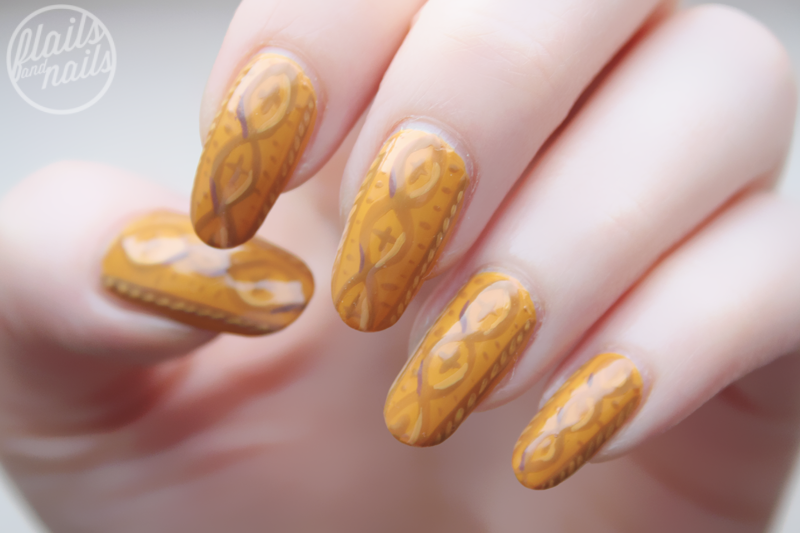 I obviously used Barry M Mustard as my base for the nail art, mixing it with Mocha from the Matte range to create the tawny brown of the pattern, added a little white for the highlights and then used Mocha itself for the shadows. I used two different nail art brushes for this look and if you guy would like a tutorial for this, let me know :-) This would be great in a variety of colours which I'll probably try out soon in the future. So London Fashion Week took over my social media feeds these past few days and of course, having been a little bit uninspired lately, I took to Vogue to check out all of the collections on offer and as I watched the stream of Burberry's show, I knew I hit a goldmine of nailspiration. 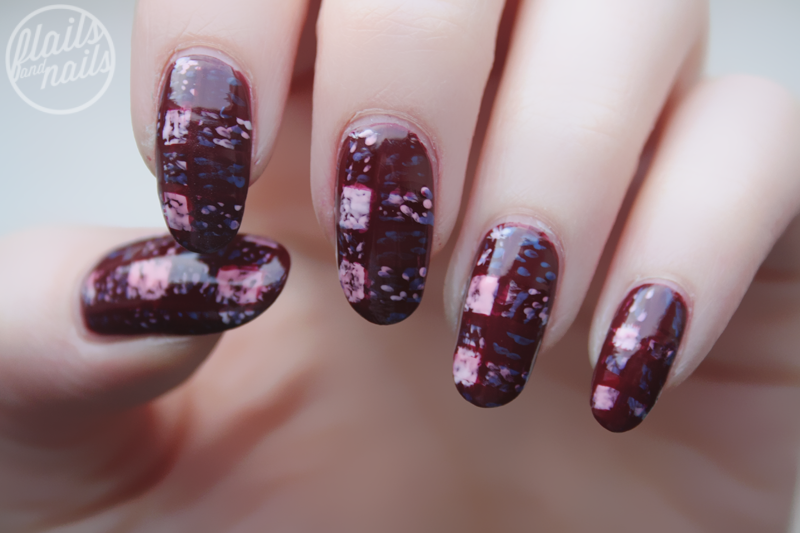 There's plenty more nail art to come from LFW from other designers but let's get cracking with this inspired look. So let's get cracking into some proper autumn nail art! It's a bit of a funny one here since we are nearly in the middle of September and it's 21 degrees outside (that's in Celsius for the American folks) so although it's definitely not looking like Autumn during the day, it is getting a bit more chilly at night so these nails are somewhat appropriate. I made use of a few of my Autumnal Nail Essentials and had some cool inspiration for these nails so hop on behind the cut for more deets! If you follow me on Instagram or Twitter, you would know how excited I have been for the latest O.P.I collection to drop in my local Sallys. I make no effort to hide my love for all things Scandinavian and Nordic and so of course, the O.P.I Nordic Collection will of course attract my attention. Since I'm not made of money, I only picked up two shades from the collection so I had to make my selection carefully and I was immediately drawn to this gorgeous sea green shade that is apparently inspired by the Northern Lights in Finland and the waters of the Norwegian Fjords so here's my swatches. This colour is unlike anything I have. I would describe it as a dusky green turquoise which makes it appropriate for being a part of an Autumn/Winter collection so it's a bit unusual and it's definitely something a little different than you're usual Autumn/Winter palette. The above swatches are three coats with a top coat. I found it to be a little streaky on some nails after two coats so I used a third and that evened all of the colour out. What do you think of this shade? Let me know in the comments below and I'll have another colour from the Nordic collection up on the blog soon, as well as some other Autumn/Winter releases I just couldn't resist! Be sure to follow me by all the sites below, I've been hovering around a few milestone figures for a while now on a few sites and I'd like an extra like, follow or subscription if you could. So it's September, which means it's officially Autumn (although it's been feeling like Autumn here for the past month but whatevs) which means that I get to work with a whole new range of nail polish colours because the nights are drawing in and it's time to get the darker colours out. 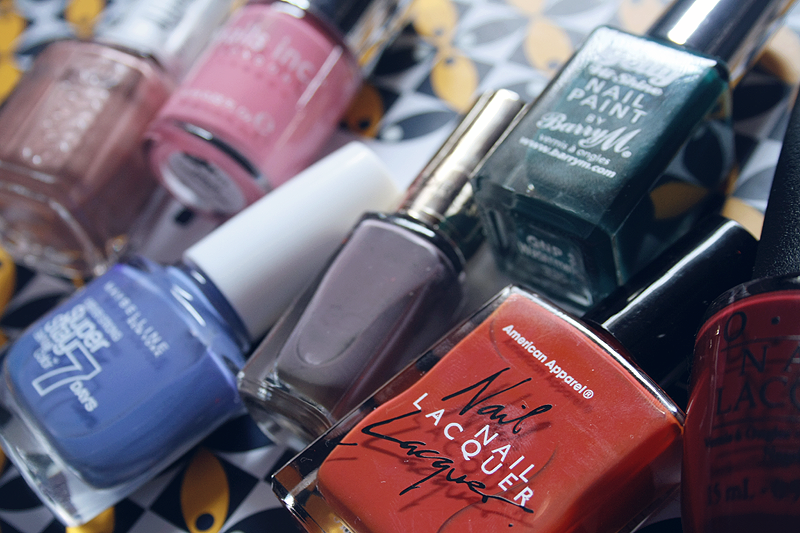 Now, I've not went for some of the more conventional Autumn shades but rather have went for a few that are quite transitional for this time of year, as well as a few classics that you'll not be without this Autumn, so let's get cracking!